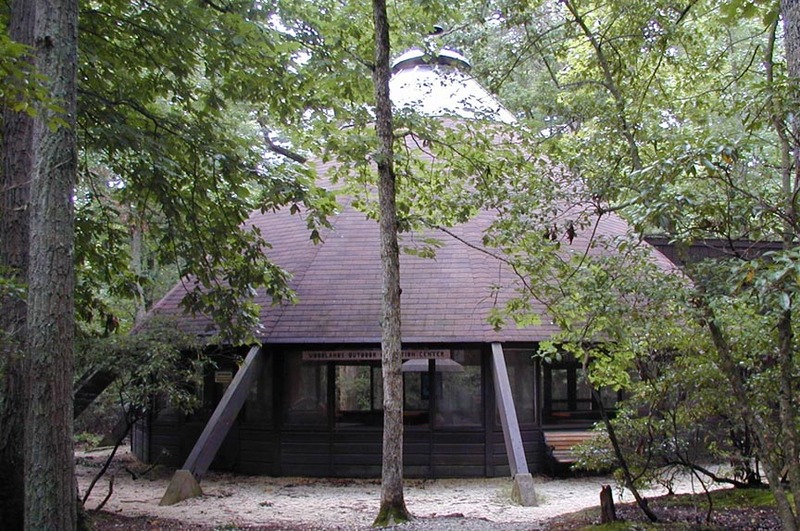 The Girl Scout Lodge, aka the Girls Scout Lodge Tepee, was built in 1954 by Rogers, Taliaferro and Lamb. It won the AIA Certificate of Merit that same year. 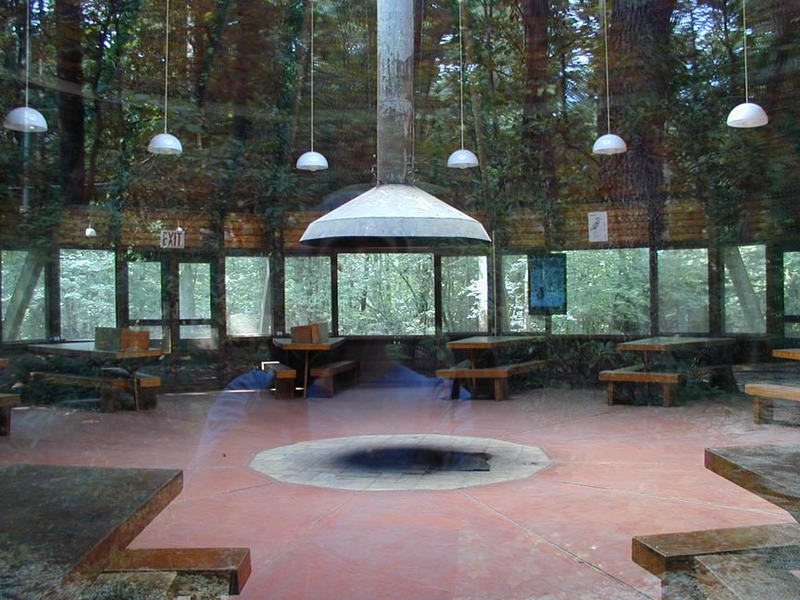 The interior features a suspended fireplace. 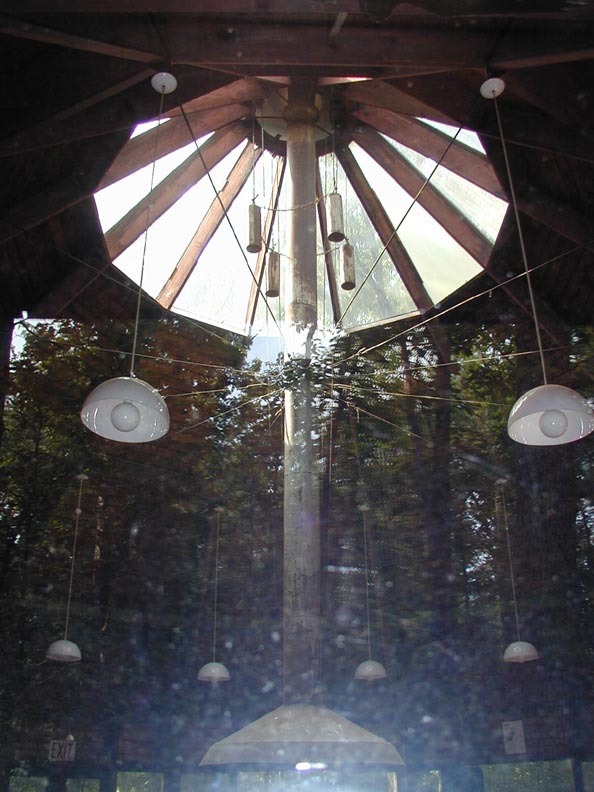 The center flue telescopes up and down so that fires can be held at night and still be moved out of the way for gatherings. The lights are not original. The building is also known as the Lamb Lodge. It was named after the mother and father of the architect, Charlie Lamb. The building was constructed by volunteers mostly from the Math Department at the US Naval Academy where Lamb's father was a math professor. Lamb's mother was actively involved in the Girl Scouts. Sorry about the quality and reflections of the interior photos which were taken through the window for now.